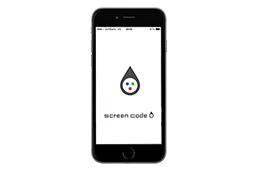 Screen code: "the invisible code" connects things with information. 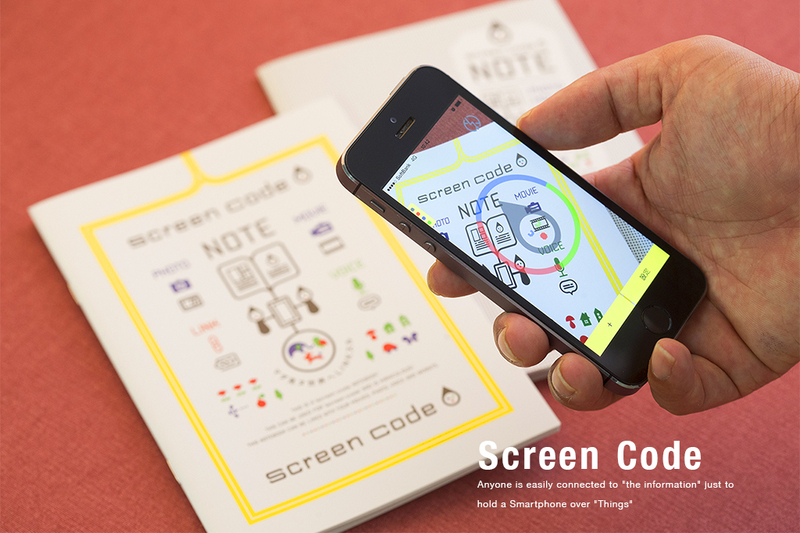 The screen code is a patent technology of the Apollo Japan original development which can embed "an invisible code" in printed matter. 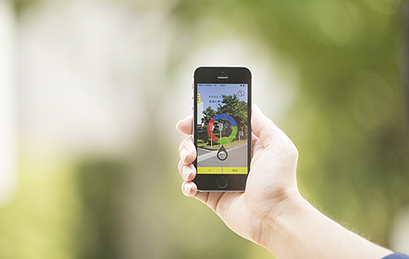 It can be connected to the information contents of a picture, a sound, the website by reading a code with a Smartphone and a dedicated reading device. 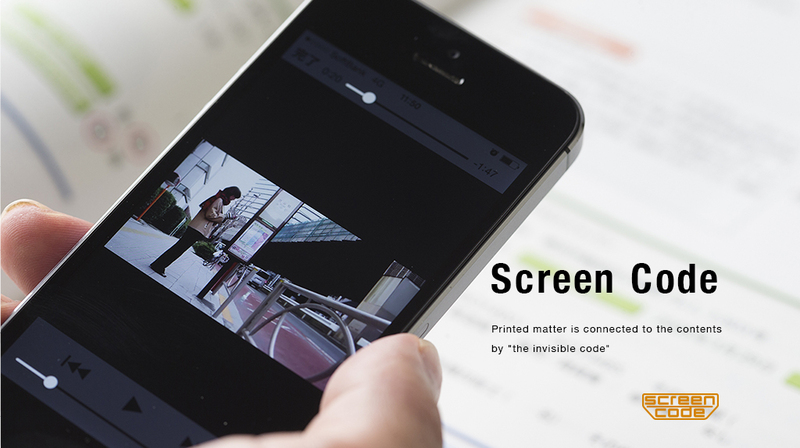 The screen code can code a print side without affecting the printed matter by making use of a characteristic of the print screen, and printing "an invisible dot" on the paper. In this way, a cord can be embedded even in the paper without the pattern and on the design of the paper within smallest area of 2mm. In addition, with a function of embedding, the screen code has a function of recording a large amount of information and can embed a large amount of data such as sound data in code itself. The reading with the dedicated reading apparatus such as voice pen Speakun and the reading with the Smartphone are possible and connecting "things" with information contents at the hand of the user by printing a screen code on not only brochure and the business card, but also packages. 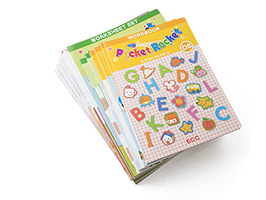 Regardless of the normal information implantation technique, this epoch-making technique that the Apollo Japan which knew everything about a print technology developed can embed a code only with print to the paper, without any other devices such as IC chips, and can largely reduce cost. In addition, cost performance becomes predominantly higher because a dedicated reading device is not always necessary and a Smartphone installed with a free application can be used as a reading device. Furthermore, as it is equipped with the print technology, versatility is high, and application is possible in various fields. Read the page that a screen cord was printed on with a Smartphone. Related Data, such as a picture and the website are displayed. The screen code is a technology to embed the code through printing "an invisible code" of our original development limitlessly transparently on the space. It is the breakthrough technology that can embed a code anywhere without spoiling a design entirely. It is possible to read a code just to touch the printing space with the dedicated reading device such as Speakun. 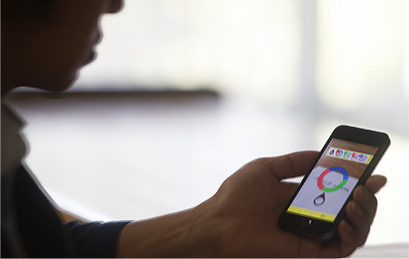 The user easily reads a code using Smartphone with dedicated application just to hold Smartphone over the space printed the screen code on, and can be connected by with information contents through the Internet. Without any difficult operation, it is easily connected by one's hand with the information contents of a sound and a picture, the website following to "the things" such as printed matter or the package, and, therefore, the user can get information intuitively. The screen code can embed directly the large-capacity data which is more than several hundred kilobytes, in a print page and can be processed as well. Accordingly, the large-capacity data such as the sounds that cannot be realized with the conventional two dimensions code can be embedded. It is a technology to embed a code by print, and the screen code does not have to use IC chips unlike a conventional technology. In addition, it can be introduced at low cost because it is possible to read it by a free application with a Smartphone. A lot of problems of the manipulation of personal information and secret data, and the leak came to happen with the development of the network with the computer. Whatever a computer develops, with the technique which can exceed it, an outflow of the information, unauthorized manipulation may happen. Therefore, it is possible to handle the important data of the customer safely by using the screen code. The screen code has received a high evaluation, and it is adopted as a key of digital watermarks and the security gate of the prevention of forgery such as a passport or the paper currency from the safety point of view by Chinese government and Taiwanese National Research Institutes. The screen code is authorized as a security code by the Chinese government. 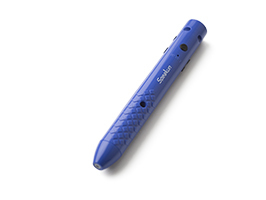 Voice pen "Speakun" as a reading device is adopted as the teaching materials for learning of ECC and Benesse in the field of the education, and as supporting contents and medical notebook for Aphasia and Autist in the field of the medical. The new market including the market for elderly person has been developed with a pen for aphasia that was designed by a manufacturing grant in 2012. ECC adopted it as the teaching materials for English certification test from 2011 and continue to adopt it as the number of enrolled students has been increased drastically and therefore, it was understood that was an initiator of the student acquisition of the new ECC Junior. 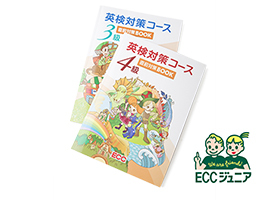 It is ECC's plan to adopt it as a main teaching materials of the ECC Junior. 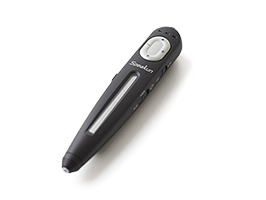 Our original Voice Pen, Speakun, which has been developed by the manufacturing fund in 2012 as version up model. The voice pen and the contents have been developed that attached great importance to more operability for the aphasic and autism. GODAI EMBODY Co.,Ltd. adopts it and we plan to participate to the exhibitions in Europe and the United States in the future. By printing a screen code on the film label surface of the product or the outside of cap and, connecting to the web site and moving image, while a person who is examining the products can read the details of the products with a Smartphone, a necessary information can be added to the products and sales promotion at the store can be realized. 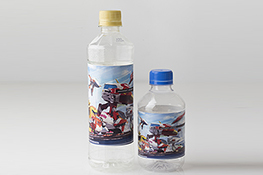 By printing a screen code on inside of the cap of the product or back side of the film label, it is available for the purchaser privileges such as application tickets of a point and the prize as sales promotion by having a product purchaser read it with a Smartphone. By combining a screen code, a cloud server and a Smartphone, "Internet of things" to tie "a person" and "things" and "information" will be realized at a reasonable price easily even immediately. Please look at "the IoT cloud service" that includes the followings as one package. Apollo Japan All Rights Reserved.